The KL-8 is a rackmount keyboard mixing station designed to provide complete control over a professional keyboard setup, both on-stage and in the recording studio. The KL-8 is a powerful mixing station created with keyboard pros in mind, with a number of features designed specifically to streamline and enhance any keyboard setup. You can connect up to four keyboards in mono or stereo, with level controls, aux sends, and LED indicators for each. 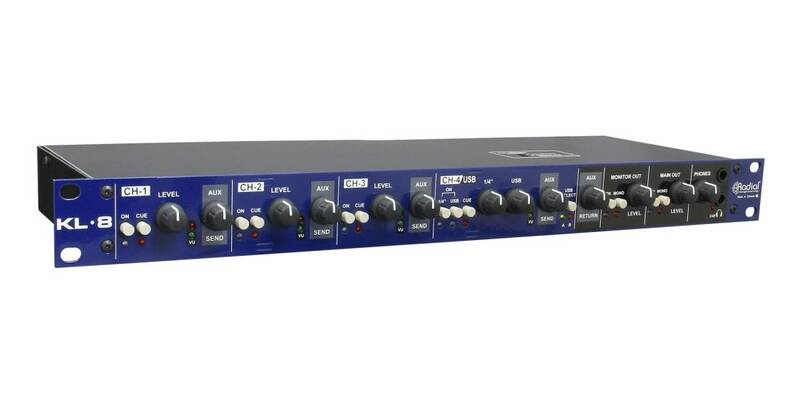 A stereo aux send/receive is available to feed rackmount reverbs and delays and effects pedals, or it can be used as an additional input for a fifth keyboard. MIDI and USB connections make it easy to control a laptop soft-synth, utilizing high quality 24bit/192kHz digital audio converters. The KL-8 also features multiple output options, with transformer-isolated XLR main outputs to feed the PA, monitor outputs for a set of speakers on stage, and dual headphone outputs for local monitoring and testing. 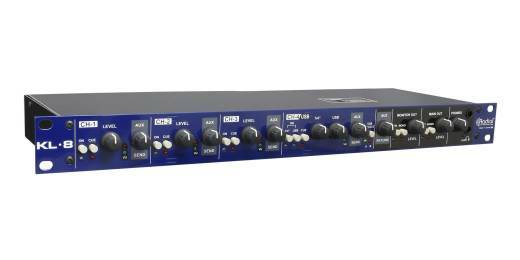 Description: Jay from Radial Engineering gives us a look at a number of new products featured at NAMM 2019, including the KL-8 4-channel keyboard mixer, Dante interface boxes, the Headlight Pro 4-amplifier switcher, and the SW8 USB Auto Switcher.